This module allows you to make payments by Multibanco and / or Payshop references. More informations in https://www.lusopay.com. Quick and easy solution to install and configure. Safe and authorized by Banco de Portugal. Cost per payment using a reference: It depends on the tariff chosen by the owner of the online store. Possibility of free advertisements in the markplace of LUSOPAY. 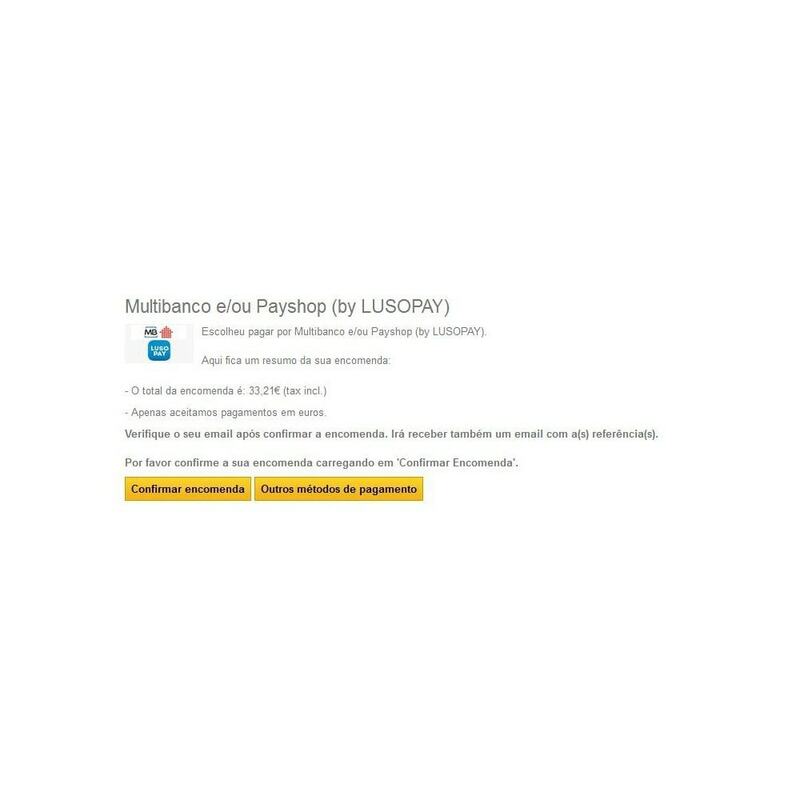 Possibility of free ads of merchant online store in the pages of LUSOPAY on social networks. 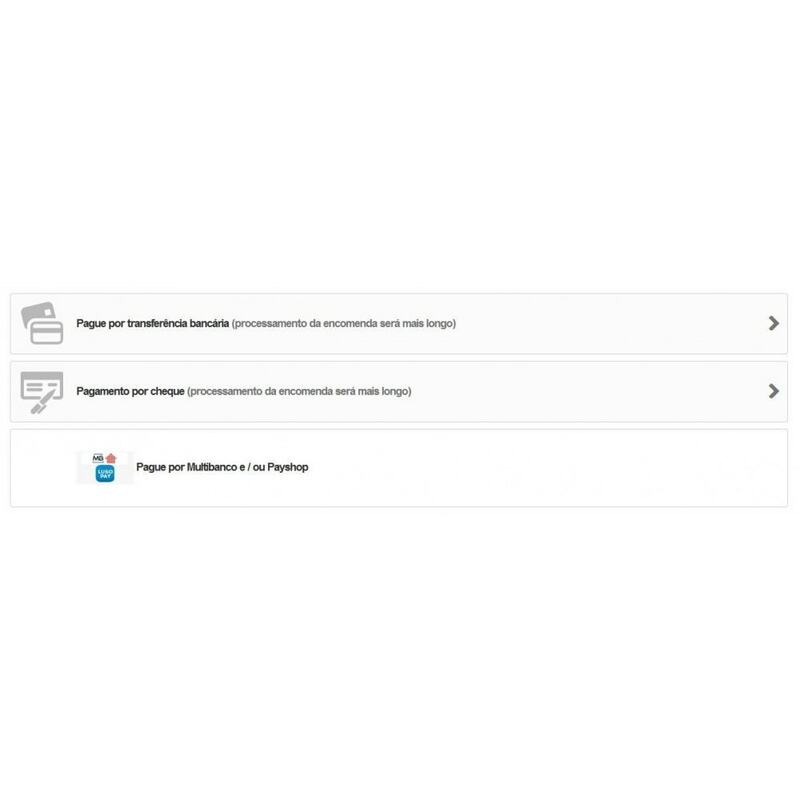 Automatically generates Multibanco and / or Payshop references to the customer to allow the payment of your order. 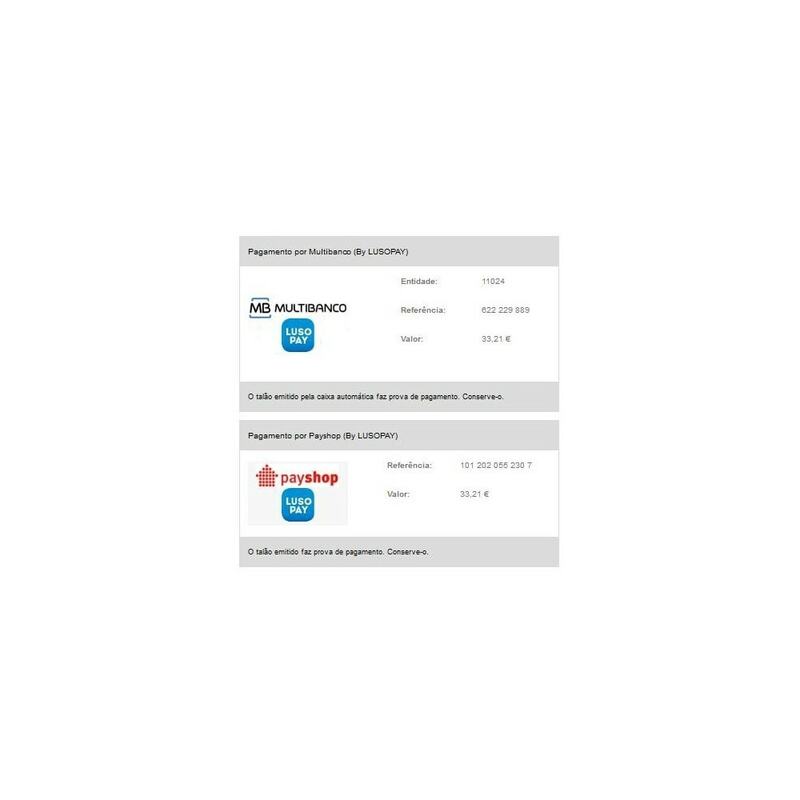 Updates automatically and in real time the order status to "Waiting for payment by Multibanco and / or Payshop" and, after payment of the reference to "Confirmed payment by Multibanco and / or Payshop". After proper installation, click "Configure" to place the data provided by LUSOPAY [Key (means chave in Portuguese) and NIF] for the correct operation of the module. If you want to activate the callback system follow the instructions. Simple, convenient and quick. All Portuguese consumers know and trust in the Multibanco and Payshop systems. Before installing this module and if you have an old version installed in your store, you must delete the old and install the new. Go to Modules-> payment and click on the "Add a new module," selecting our module and clicking "send this module." Then simply click "install". Fix bug in url of the callback.